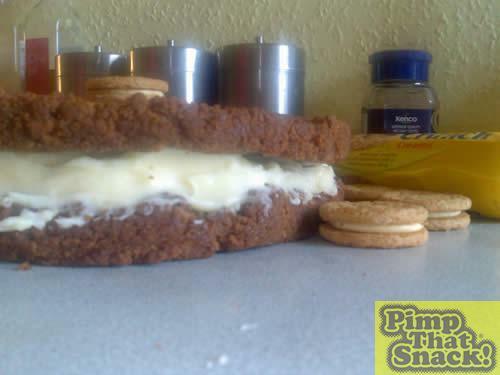 While the 1st biscuit is cooling and the 2nd is in the oven you can make the filling!. 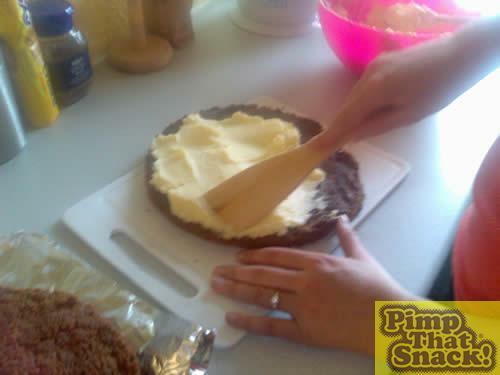 Add the rest of the butter into a bowl and pour on the icing sugar. 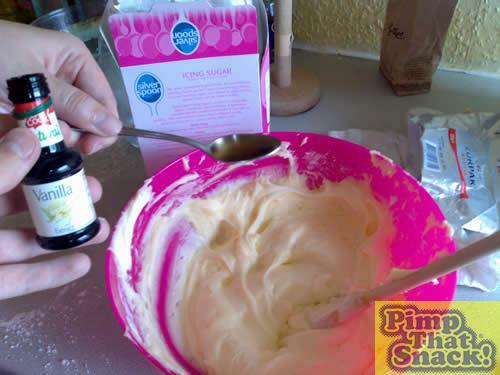 Work the sugar / icing until it has mixed and makes like a smooth icing. Then add the vanilla essence to taste. 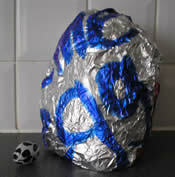 ... 1 or 2 hours later - take the first base out of the tin / foil. Then put the icing on top and spread evenly. 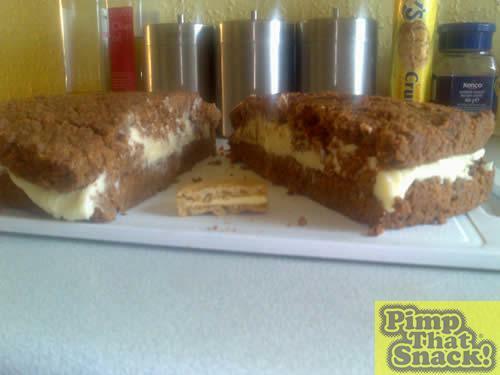 Once you have spread the icing I recommend putting it in the fridge for the butter to harden. 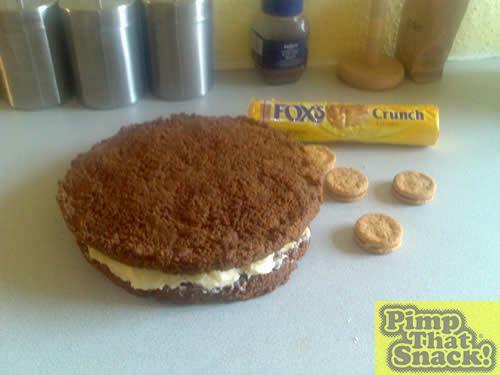 However you can just put the 2nd biscuit on top - and there you have it!. 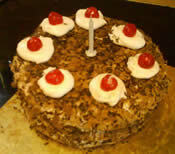 I would not attempt to eat this in one go, you will be sick, but an inch at a time!